Protecting People: ensuring protection, confidence and financial security for our clients. Adding Value: Independent advice, professionalism, and always being there when our customers need us most. Finding solutions: Innovative insurance products and risk management services from trusted parters in our industry. Making a difference: A team of professionals working together with integrity, mutual respect and personal accountability. We care! 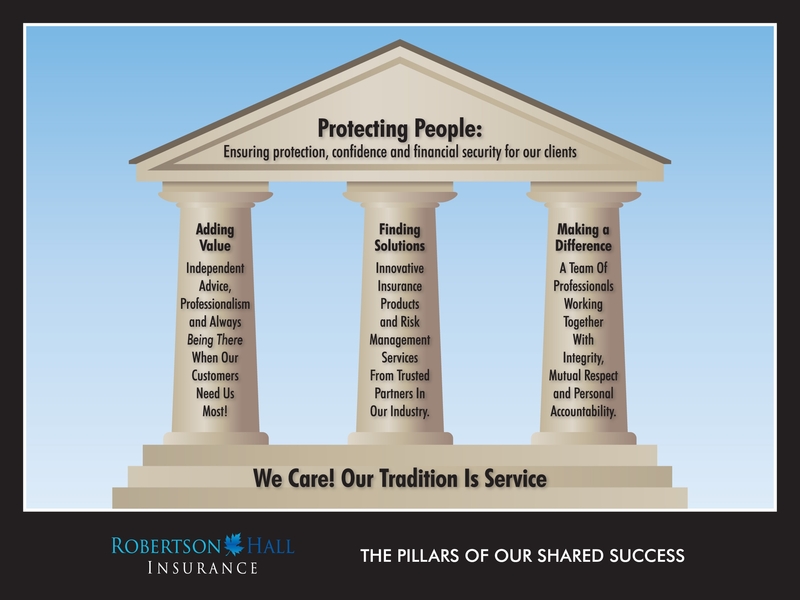 Our tradition is service.Talk to us about how we can help protect you with personal insurance, protect your business with commercial insurance and help you succeed with our wealth management solutions.